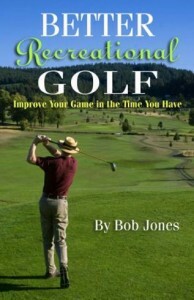 You have limited time to play golf, and even less time to practice. These are the skills you should concentrate on to get the most out of the rounds you play. 1. Hitting the ball straight. Get lessons. Practice what you learned. Practice a lot with short irons. They encourage good swing habits. 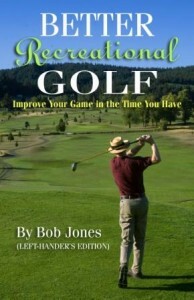 Hit your driver maybe every tenth ball, one time, then go back to the short irons. Everybody says to practice short game and putting, but the swing’s the thing. 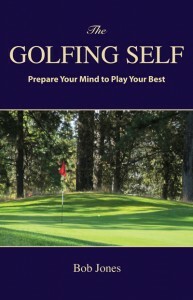 Consider: would you rather have Tiger chip and putt your ball, or have him hit your tee shots and irons? I thought so. 2. Getting 30-foot putts close. We have three-putt greens because we leave our approach putt to short or blow it by the hole. Learn to get the approach putt within the three-foot circle — that’s three feet in diameter — so you have just a tap-in left. 3. Making the three-foot putt. Here’s the payoff for all the work you did to get the ball this close to the hole. Be confident that you can close the deal right now. Hit a dozen three-footers with the right hand only, another dozen with both hands on the club. No misses allowed. There’s no time to practice everything. 1-3 will let you play a decent game. Adding on 4-6 will let you score.